This is a die-cut Indian Motor Oil porcelain sign. This particular Indian Motor Oil sign is colored and shaped like a can of Indian Motor Oil. 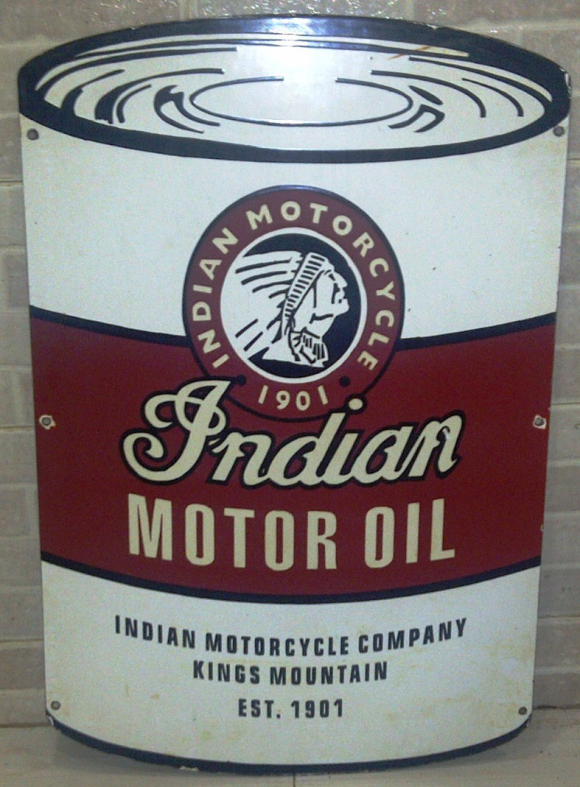 It reads, “Indian Motor Oil, Indian Motorcycle 1901, Indian Motorcycle Company, Kings Mountain, Est. 1901” and features an Indian head near the top of the sign.